Location: 13 Main House courtyard elevation. 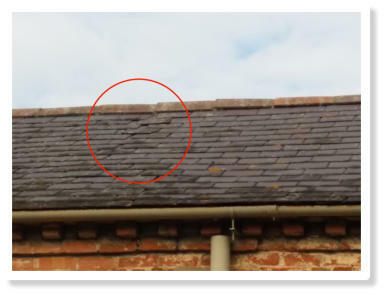 Defect: Damaged and slipped slates. 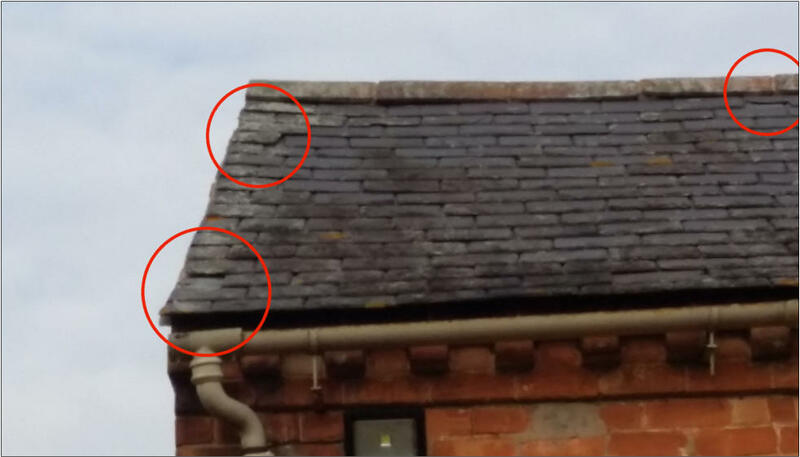 Action: Remove and replace with reclaimed slates to match existing. Location: 16 Main House side elevation. 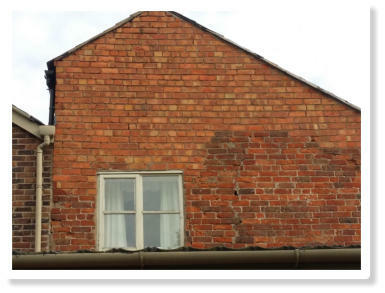 Defect: Loose and perished mortar on gable end verge. 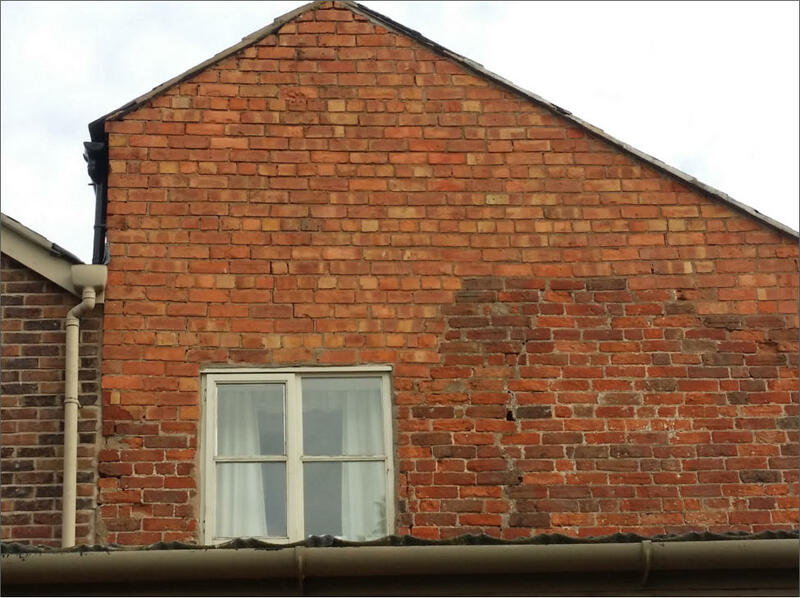 Small areas of pointing to brickwork missing in various places on gable end. Action: Remove loose mortar, backfill and point smooth with 4/1 sand cement mix. 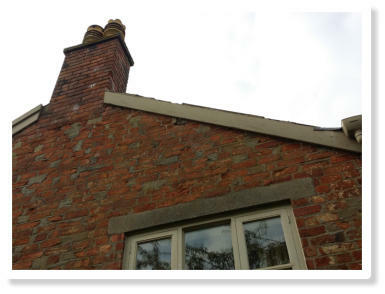 Patch point brickwork with 4/1 sand cement mix. 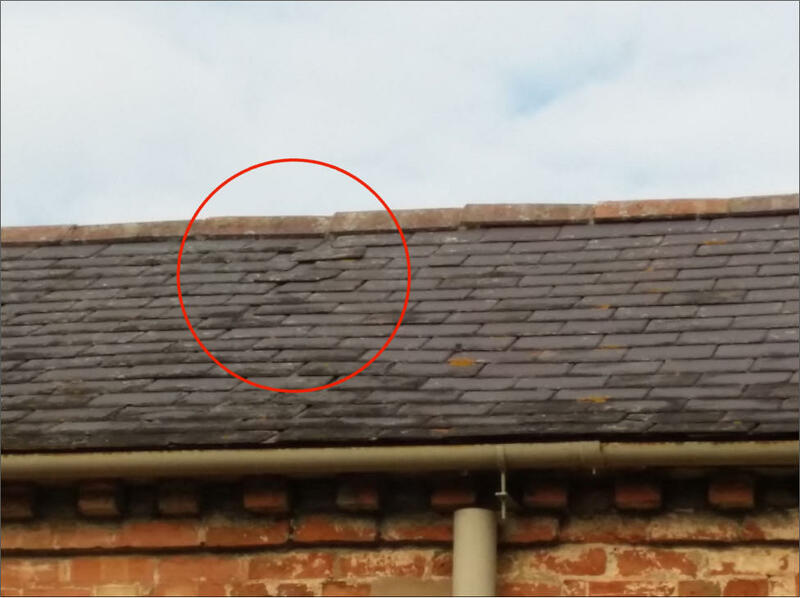 Defect: Missing timber trim. 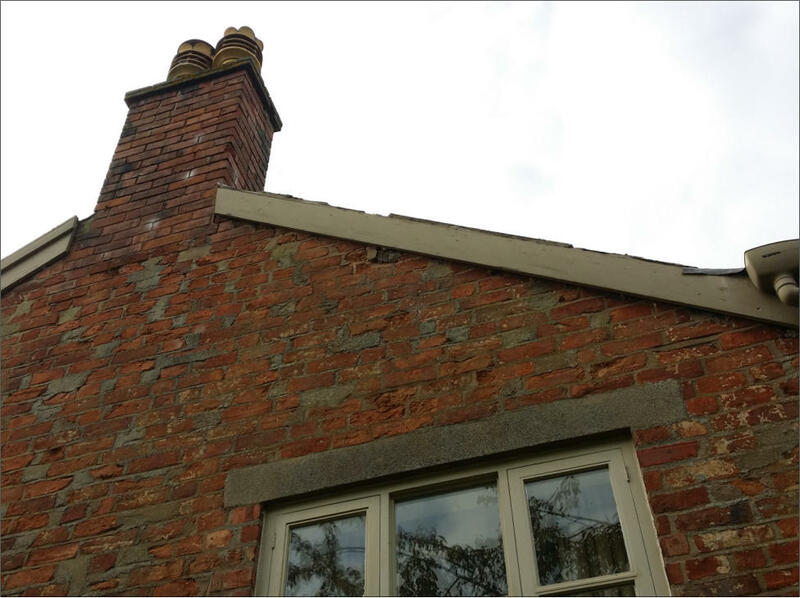 Action: Supply and fit new timber trim and paint to match existing. Location: 14 Main House side elevation. Location: 15 Main House side elevation. 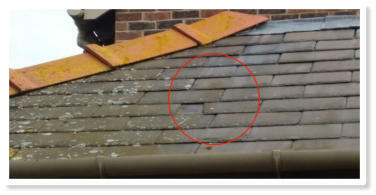 Defect: Damaged slate. 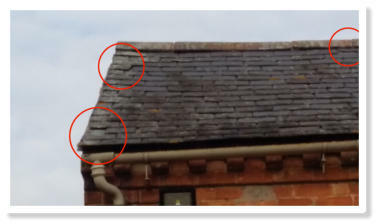 Action: Remove and replace with reclaimed slate to match existing. .